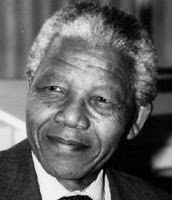 Today Nelson Mandela celebrates his 92nd birthday. It is also the first global day of donating 67 minutes of your time in honor of this great man. The “67″ represents the number of years he served the Nation of South Africa. This morning on the news I heard that the success of the Soccer World Cup is the gift he hoped for. South Africa showcased our country to the world over the month of the cup and the unity that occurred in the nation is a gift that we all shared. As the CEO of The Refirement Network ( www.refirementnetwork.com/) my main role is to research and understand what the baby boomers of South Africa will experience as they head towards retirement. We will live longer, feel that we can continue to work and many want to volunteer or find an “Encore” career in the social sector.There is so much need for skill and wisdom in this sector and volunteering today as part of your journey would be great idea. The vision I have is that baby boomers both from South Africa and elsewhere in the world can bring their knowledge, time and skill to help bring about change in the education, health, environmental or job creation arenas. The time may be 67 minutes, 67 hours, 67 days or just a change of heart and attitude that enables you to build bridges and lend a helping hand . Last year while doing a certificate in social entrepreneurship around this topic an interesting number jumped out at me. It is a good day to share this. Baby Boomers are born 1946 to 1964. Nelson Mandela’s prison number is 46-6-64. Doing 67 minutes last year I realised that I would love to combine these two especially for baby boomers. The “6″ in the middle did not fall into place until I saw the movie Invictus. On the day South Africa won the 1995 Rugby World Cup in South Africa, Nelson Mandela wore Francois Pienaar’s NO 6 jersey. The 6 for me reflects the deep understanding of humble leadership shown by this influential leader. I challenge you to not only put on your number 6 jersey wherever you are but to have a change of heart and build a mindset of a volunteer and make a difference.